If you've always wanted to learn how to draw a portrait then this terrific portrait drawing course will surely steer you towards achieving your goals. I am fortunate enough to be able to honestly review this Realistic Pencil Portrait Mastery course on your behalf so you can decide if it's suitable for you. The focus of this course is to draw realistic portraits from photographs. This comes in really handy when you want to draw a portrait of your family members and friends from photos. If you want to know how to draw from life then it's still likely you'll benefit by the detailed instruction that the author provides when drawing from reference photos. It's brand new, it's Christopher Sia's Realistic Pencil Portrait Mastery Course and it shows you how to draw a portrait with expressive facial features. Learn how to avoid the mistake most people make when drawing the eyeball, eyelids and iris. You're also shown the proper drawing technique to achieve small details on eyes without using a kneaded eraser. There are 55 pages and 127 images that show you how to draw a realistic eye, step by step. Learn from the contents of this book and you're certain to remove the frustration most of us experience when drawing faces. Chris has a "two strokes method" that adds realism to hair drawing in just minutes. If this is your first portrait book, then you have every reason to get excited with everything you are about to learn in detail. 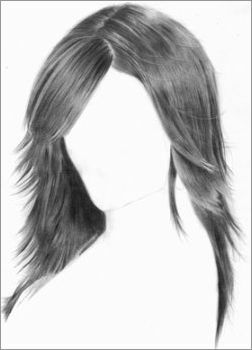 There are 45 pages on how to draw hair and 128 images to show you how to do it. As part of the package, you also receive 100 reference pictures. The majority of other pencil portrait drawing books and courses found online have completed illustrations with the expectation of you being able to learn from them. However, a step-by-step tutorial is the best and most effective way of learning, rather than trying to figure out how to draw each part based on the reference of a completed picture. The big question is, with so many drawing books and courses available on the internet today, is Realistic Pencil Portrait Mastery really worth the money? The best part is that you have access to one-on-one feedback from Christopher himself. The step-by-step guide shows you how to achieve a certain outcome with helpful descriptions. You learn at your own pace, no deadlines to meet. A total of 5 drawing lessons, 208 pages, and 605 images to guide you along. You also receive 12 weekly exercises that are designed to help you get the most out of this home-study course. Comes with a 60 day money back guarantee making it a no-risk bargain! It doesn't matter if you're a beginner who has never done any pencil portrait drawing before. This course is definitely the easiest way to learn how to draw a portrait. Unlike any other drawing books and courses that need tons of drawing materials to get started, you only need 2H, 2B, and 5B wood cased pencils. The fact that they offer a 60 day money back guarantee means you get to try the entire home-study course WITHOUT any risk for 60 days. If you don't like it for any reason, just send an email and they will simply give you a full refund. The download for the reference pictures is quite large (59 MB) but I feel the rest are a reasonable size. If you are on dial-up internet, it may take a while to complete all the downloads. This is absolutely a step by step how to draw a portrait course so you need patience to follow along and achieve the same results. 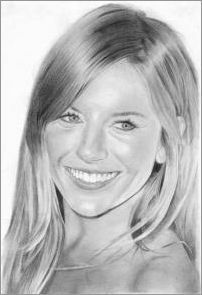 There is no doubt that Realistic Pencil Portrait Mastery is regarded as one of the best pencil portrait drawing courses available at such a low price. This is a great home-study course to move to the next whole new "real master level" of pencil portrait drawing. Personally, I love doing lots of different drawing courses because each teacher shares techniques that are unique to them and I find value in those things alone. My aspiration is to learn how to draw a portrait properly so I'll do whatever it takes to succeed. If you want a more detailed explanation of what is included in the course, please visit Christopher's page.